Following this, Abu Bakr and Hanzalah both felt the need to seek the counsel of the Prophet (peace be upon him). This is one of the most powerful narrations from the companions and of how they took their faith seriously. In our daily practice of Islam, there are times when we doubt ourselves. We have had good times when our prayers were excellent, and we excelled in our lives both from a dunya and akhirah point of view and felt great. Then we had a horrible dip. We started missing those Fajrs, we started to lose our temper, we started to forget our extra nafl deeds and soon we looked at ourselves and felt disgusted. And that is normal- yes it really is. Look at this conversation. Both Abu Bakr and Hanzalah are among the top tier companions during the time of the Prophet. Even Hanzalah had this realization that there are times when he was better as a Muslim in his heart and mind than other times. And he was worried. And he went and complained to the Prophet. If we were sinning, and failing in our duties and feeling nothing, then we should be even more afraid because that is a sign that our hearts have died. The fact that we feel that guilt, that scratching inside our souls, is like a reminder from Allah for us to sort ourselves out. It is important again to look back at the hadith. The Prophet said that if Hanzalah was perfect, the angels would come and shake hands with them. This is one of the beautiful ways of the Prophet telling Hanzalah that perfection in worship in this world is reserved for the angels, not for humans. For humans there is a dip, and then there is a peak. Below is a list of things you can do, and is proven in the Sunnah to help in reconnecting to Allah and to help in purifying our hearts. Every good thing is initially difficult to initiate and then easier as it goes along. So, think of the following good deeds to help in your journey back to Allah. * Reading Quran, understanding and contemplating it. * Send blessings upon the Prophet Muhammad (peace be upon him). * Being thankful for many of the blessings that Allah has blessed us with. * Taking some time out in nature and ponder on God’s creation. * Attending a halaqah or an Islamic course. * Going to the Masjid if you are not a regular, or going more than you usually would. Try and pick a few of the activities above and see where you go. 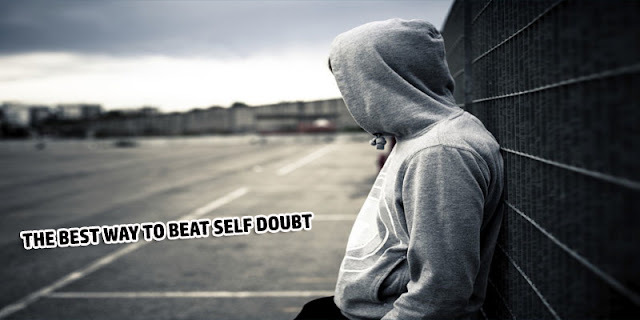 The best way to beat self-doubt is to do things that stop you doubting yourself and stop Satan making you doubt yourself. The fact that you care about your faith is wonderful. Now, put that guilt into action. Satan makes us do nothing so that we are doomed to hell. Allah invites us to His house, the house of peace, serenity and tranquility.